If there’s one thing that will transform your venue, it's the lighting. This simple and elegant effect will bring your event to a whole new level. Shindig Lighting, based out Connecticut, has basically every lighting service you can imagine even do-it-yourself wedding lights. 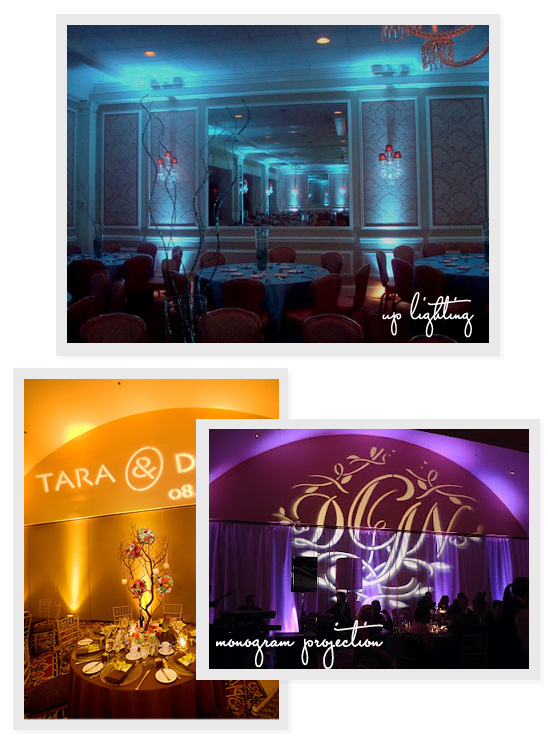 From up-lighting and custom monograms to dance floor projection they can brighten your event in more ways than one. 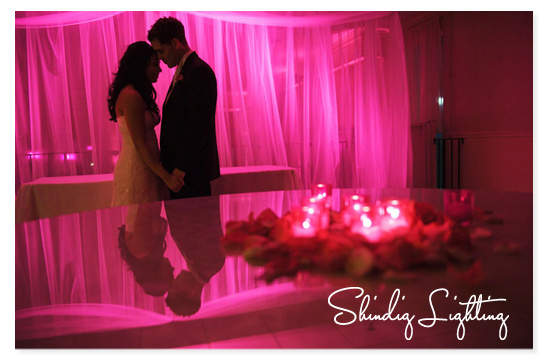 Visit Shindig Lighting to learn more. Don't have the budget for Shindig Lighting, to provide lighting services for your event? That's ok, you an rent their easy-to-control up lights! With the push of a button you can pick 1 of 16 color options to match your theme and decor colors for the evening. They provide you with everything you need to transform your event space from dull to exciting.